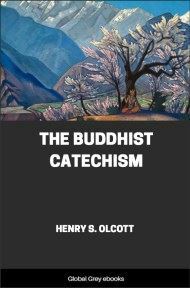 This is a book of essays by a Zen Buddhist Abbot who visited the United States in 1905-6, translated by another figure who was instrumental in introducing Buddhism to the West, Daisetz Teitaro Suzuki. 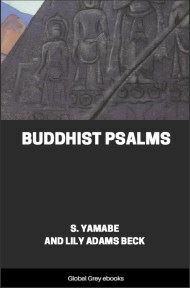 Originally titled Sermons of a Buddhist Abbot, it has been reprinted in numerous editions as Zen for Americans and is currently in print under that title. 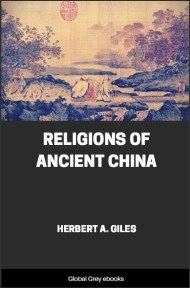 The book includes a translation of The Sutra of Forty-Two Chapters, which was the first Buddhist document translated into Chinese, and which had a huge influence on the development of Zen. HAVING attained Buddhahood, the World-honored One thought thus: "To be free from the passions and to be calm, this is the most excellent Way." He was absorbed in Great Meditation, subdued all evil ones, and in Deer Park caused to revolve the Wheel of Dharma, which was the Fourfold Truth, and converted the five Bhikshus, Kaudinya, etc., inducing them to attain Enlightenment. Again, there were other Bhikshus who implored the Buddha to remove their doubts which they had concerning his doctrine. The World-honored One illumined all their minds through his authoritative teachings. The Bhikshus, joining their hands and reverentially bowing, followed his august instructions. (1) The Buddha said: "Those who leave their parents, go out of the home, understand the mind, reach the source, and comprehend the immaterial, are called Çramana. "Those who observe the two hundred and fifty precepts of morality, who are pure and spotless in their behavior, and who exert themselves for the attainment of the four fruits of saintship, are called Arhats. "The Arhat is able to fly through space and assume different forms; his life is eternal, and there are times when he causes heaven and earth to quake. "Next is the Anâgâmin. At the end of his life, the spirit of the Anâgâmin ascends to the nineteenth heaven and obtains Arhatship. "Next is the Skridâgâmin. The Skridâgâmin ascends to the heavens [after his death], comes back to the earth once more, and then attains Arhatship. "Next is the Srotaâpanna. The Srotaâpanna dies seven times and is born seven times, when he finally attains Arhatship. "By the severance of the passions is meant that like the limbs severed they are never again made use of." (2) The Buddha said: "The homeless Çramana cuts off the passions, frees himself of attachments, understands the source of his own mind, penetrates the deepest doctrine of Buddha, and comprehends the Dharma which is immaterial. He has no prejudice in his heart, he has nothing to hanker after. He is not hampered by the thought of the Way, nor is he entangled in karma. No prejudice, no compulsion, no discipline, no enlightenment, and no going up through the grades, and yet in possession of all honors in itself,--this is called the Way." (3) The Buddha said: "Those who shaving their heads and faces become Çramanas and who receive instruction in the Way, should surrender all worldly possessions and be contented with whatever they obtain by begging. One meal a day and one lodging under a tree, and neither should be repeated. For what makes one stupid and irrational is attachments and the passions. (4) The Buddha said: "There are ten things considered good by all beings, and ten things evil. What are they? Three of them depend upon the body, four upon the mouth, and three upon thought. "Three evil deeds depending upon the body are: killing, stealing, and committing adultery. The four depending upon the mouth are: slandering, cursing, lying, and flattery. The three depending upon thought are: envy, anger, and infatuation. All these things are against the Holy Way, and therefore they are evil. "When these evils are not done, there are ten good deeds." (5) The Buddha said: "If a man who has committed many a misdemeanor does not repent and cleanse his heart of the evil, retribution will come upon his person as sure as the streams run into the ocean which becomes ever deeper and wider. "If a man who has committed a misdemeanor come to the knowledge of it, reform himself, and practise goodness, the force of retribution will gradually exhaust itself as a disease gradually loses its baneful influence when the patient perspires." (6) The Buddha said: "When an evil-doer, seeing you practise goodness, comes and maliciously insults you, you should patiently endure it and not feel angry with him, for the evil-doer is insulting himself by trying to insult you." (7) The Buddha said: "Once a man came unto me and denounced me on account of my observing the Way and practising great lovingkindness. But I kept silent and did not answer him. The denunciation ceased. I then asked him, If you bring a present to your neighbor and he accepts it not, does the present come back to you?' The man replied, 'It will.' I said, 'You denounce me now, but as I accept it not, you must take the wrong deed back on your own person. It is like echo succeeding sound, it is like shadow following object; you never escape the effect of your own evil deeds. Be therefore mindful, and cease from doing evil.'"